1. Capozza N, Caione P. Dextranomer/hyaluronic acid copolymer implantation for vesico-ureteral reflux: a randomized comparison with antibiotic prophylaxis. J Pediatr 2002; 140:230-234. 2. Kirsch AJ, Perez-Brayfield MR, Scherz HC. Minimally invasive treatment of vesicoureteral reflux with endoscopic injection of dextranomer/hyaluronic acid copolymer: the children's hospitals of Atlanta experience. J Urol 2003; 170:211-215. 3. Puri P, Chertin B, Velayudham M, et al. Treatment of vesicoureteral reflux by endoscopic injection of dextranomer/hyaluronic acid copolymer: preliminary results. J Urol 2003; 170:1541-1544. 4. Ehrlich RM, Gershman A, Fuchs G. Laparoscopic vesicureteroplasy in children: initial case reports. Urology 1994; 43:255. 5. Reddy PK, Evans RM. Laparoscopic ureteroneocystostomy. J Urol 1994; 152:2057. 6. Lakshmanan Y, Fung LC. 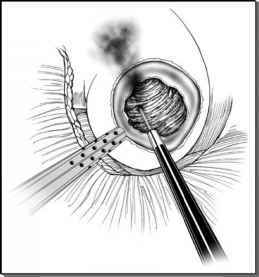 Laparoscopic extravesicular ureteral reimplantation for vesicoureteral reflux: recent technical advances. J Endourol 2000; 14:589. 7. Gill IS, Ponsky LE, Desai M, et al. Laparoscopic cross-trigonal Cohen ureteroneocystostomy: novel technique. J Urol 2001; 166:1811-1814.